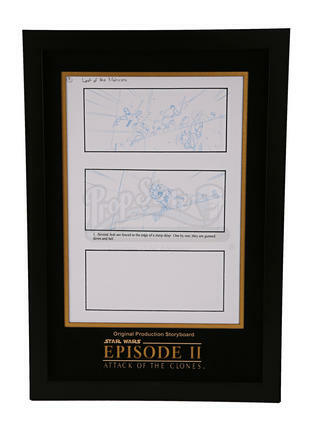 Precisely sketched in blue pencil by design director Doug Chiang, the storyboard features two illustrations centring on the battle in the arena on Geonosis. During the sequence, an army of Jedi led by Mace Wimdu (Samuel L. Jackson) help Padme (Natalie Portman), Anakin (Hayden Christensen) and Obi-Wan (Ewan McGregor) to defeat Dooku’s (Christopher Lee) army of clones and beasts. 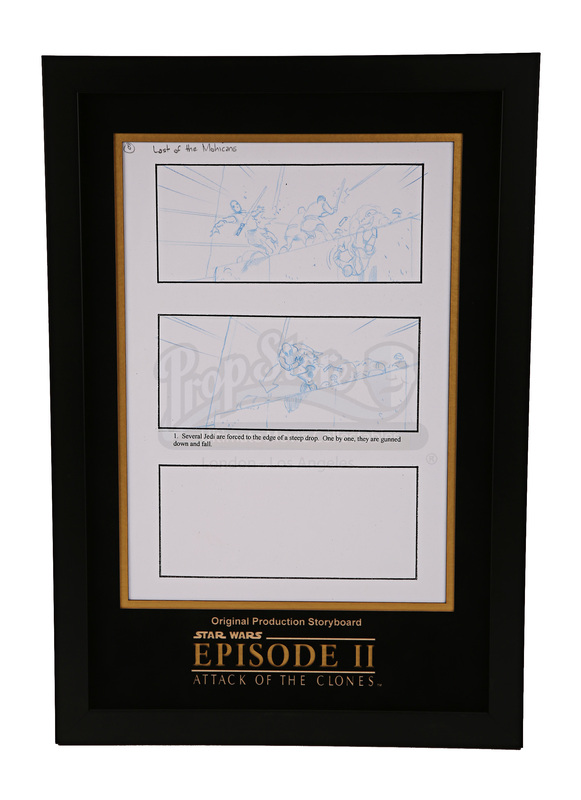 The storyboards depict a group of Jedi fighting valiantly at the edge of a steep drop, but they are overpowered and all eventually fall. 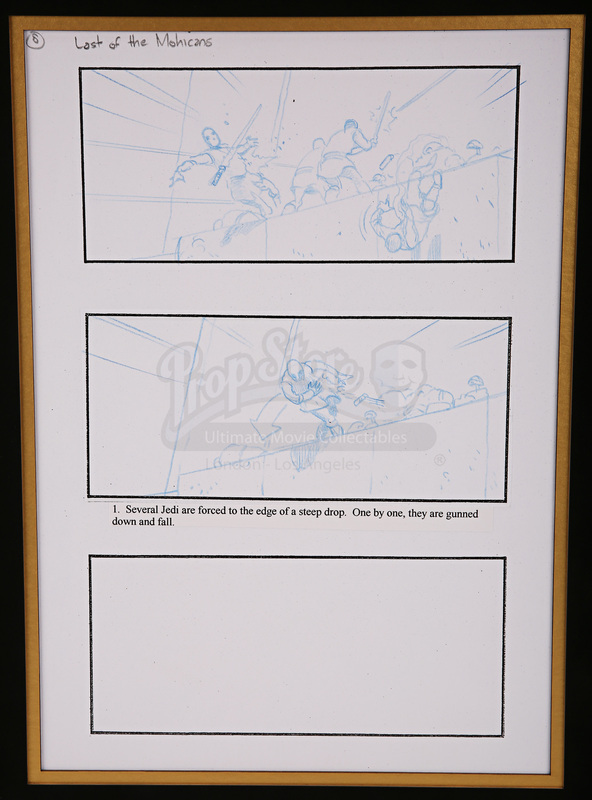 A scene description is printed beneath the illustrations and ‘Lost of the Mohicans’ has been handwritten in pencil in the top left corner. The scene itself does not actually appear in the final cut of the film, so at some point in the filmmaking process it was discarded.